Between working for a living and taking care of menial tasks like cleaning, laundry and cooking, it can be challenging to find enough time for the things that you enjoy. In all the rush, it can be easy to let knitting take the back burner, but it doesn't have to be that way. The secret to finding more time for a balanced life isn't to give up your hobbies, but rather to be more creative with how you manage your time. If you're finding yourself in a similar situation with too much to do and not enough time to knit, then this collection of easy knitting patterns is just what you need. Whether you have a whole weekend to spare or just a few hours, the fast knitting patterns below are small enough to be taken with you anywhere you go, and each one can be completed after only a few short knitting sessions. Did I mention that they're also very simple in design? Each tutorial is a piece of cake to memorize, meaning it's that much easier to work on these projects while you watch your favorite T.V. show, while you're waiting at the doctor's office or while you're impatiently waiting for dinner to finish cooking. 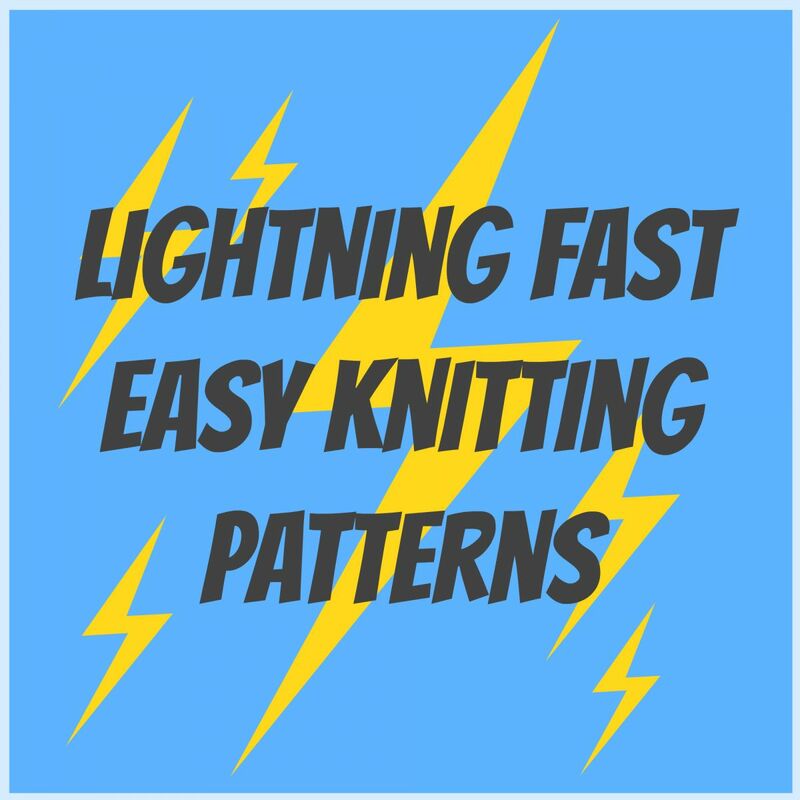 No matter how you find the time to knit — on the train ride to work or at your son's soccer game — this group of lightning fast patterns will help keep you motivated and inspired — even with a busy lifestyle. Just Updated: 3 Bonus Patterns! 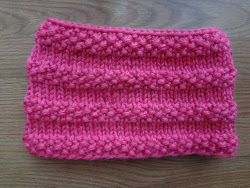 Bubblegum Cowl - Perfect for adding a pop of color to your autumn wardrobe, this fun, textured cowl is also fast and easy to make. Super Fast Lace Scarf - Lace knitting patterns don't have to take weeks to complete. This easy-to-memorize design is perfect for evenings of mindless knitting in front of the television. Plus, you can easily complete it in a weekend! 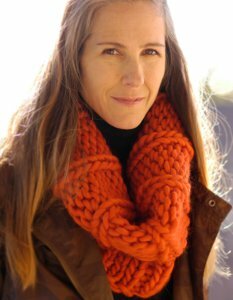 Lightning Fast Cowl - With just one skein of bulky yarn and circular knitting needles, you'll be able to finish this cowl in a weekend or less. Lightning Fast Ruffle Scarf - Armed with one hank of self-ruffling yarn, you'll be able to create this chic accessory in a matter of hours. 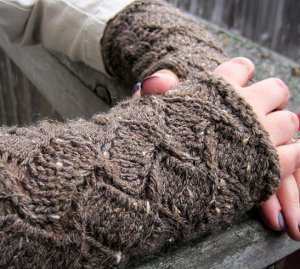 Lightning Fast Wrist Warmers - Need a quick DIY gift idea for your friends this year? These wrist warmers are just what you've been searching for — they're trendy, they're fast and they won't cost you an arm and a leg to make. Fluffy Puffs Hat - Many people make scarves and gloves for the holidays, but what about hats? 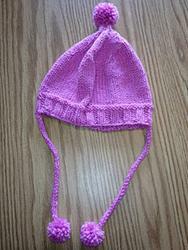 Hats are the ideal project; they require very little yarn, they're practical and they're a cinch to customize. 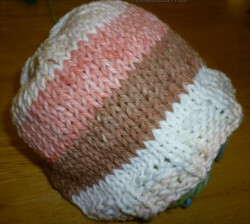 Ribbed Alpaca Hat - Capture the colors of Neapolitan ice cream with this lightning fast baby hat. This delicious design can be completed in mere hours. 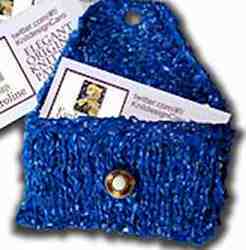 Mini Knit Pouch - From business cards to credit cards, this tiny knit pouch can be completed in an hour or less. This pattern is also great for using up those colorful odds and ends from your yarn stash. 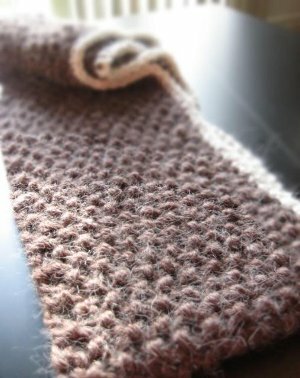 Did you enjoy these free knitting patterns? There's plenty more where that came from. 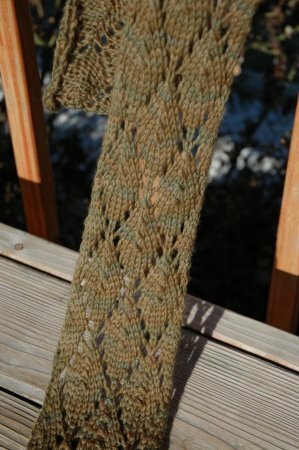 If you want to find more simple patterns, check out these 15 Quick and Easy Knitting Patterns or 11 Knitting Patterns for Scarves: Lightning Fast Lace. I love finding patterns that are presented in a collection or group that has a lot of variety in it. I love how they are usually categorized in easy to find types from easy to more detailed and from quick to more labor intensive. This is one that I will be saving to reference back to in the future. Thanks. Tried to look at all of these "featured" patterns and over half of them are dead links, you get some "oops" we can't find what you are looking for message. Why feature them or provide shortcuts if they no longer exist?